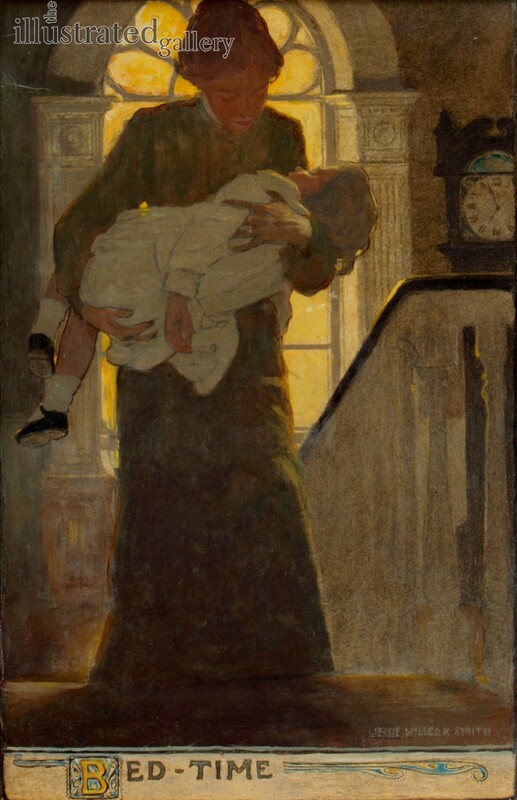 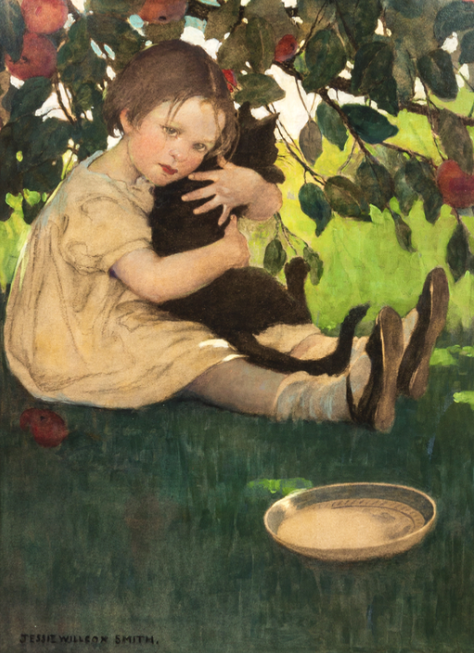 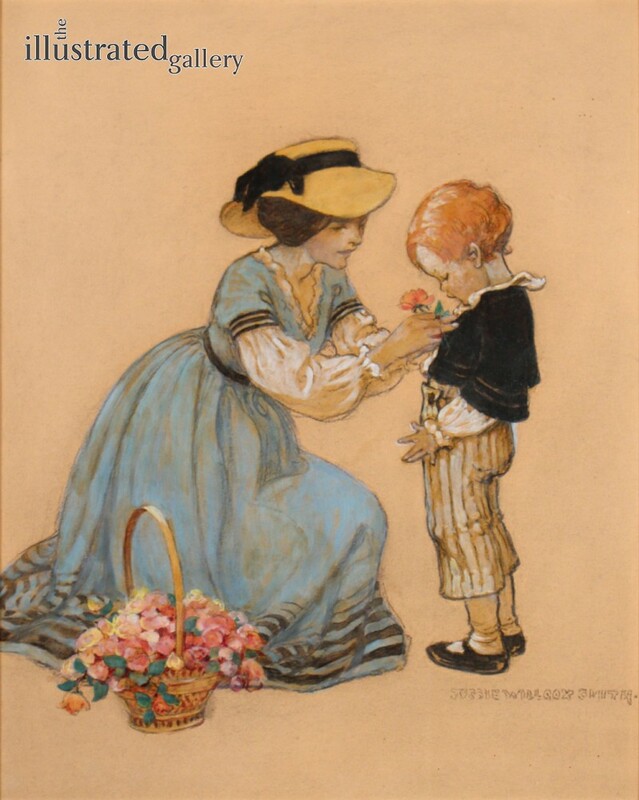 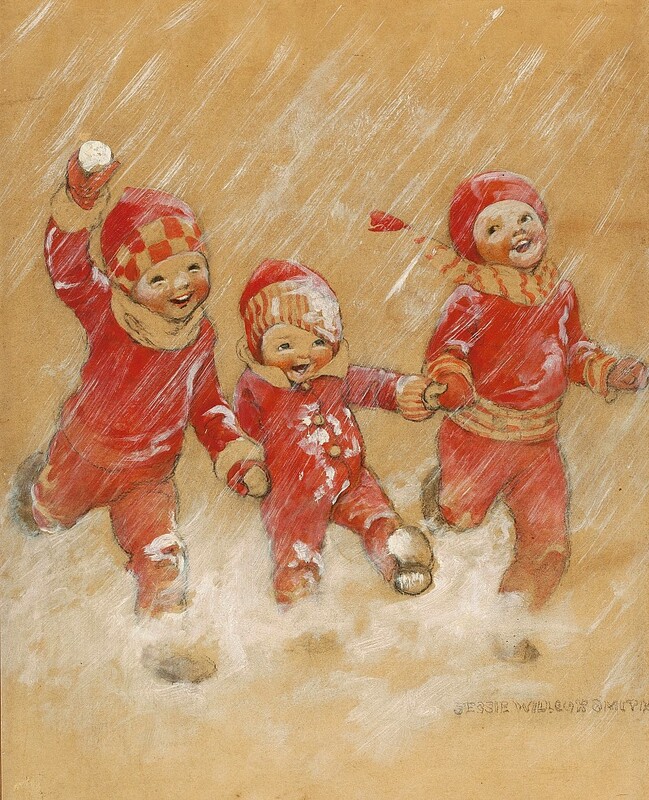 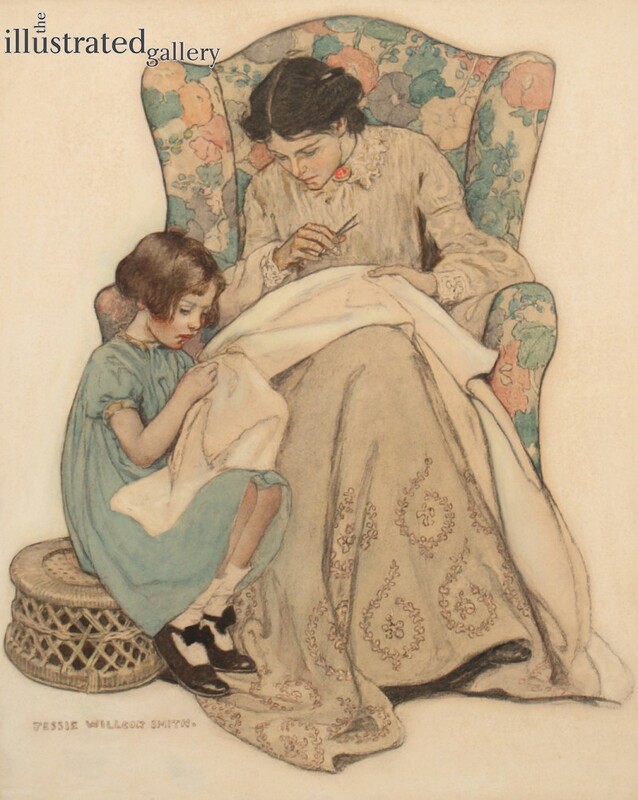 Jessie Wilcox Smith never married, but throughout her long career, specialized in drawing and painting mothers, babies and children. 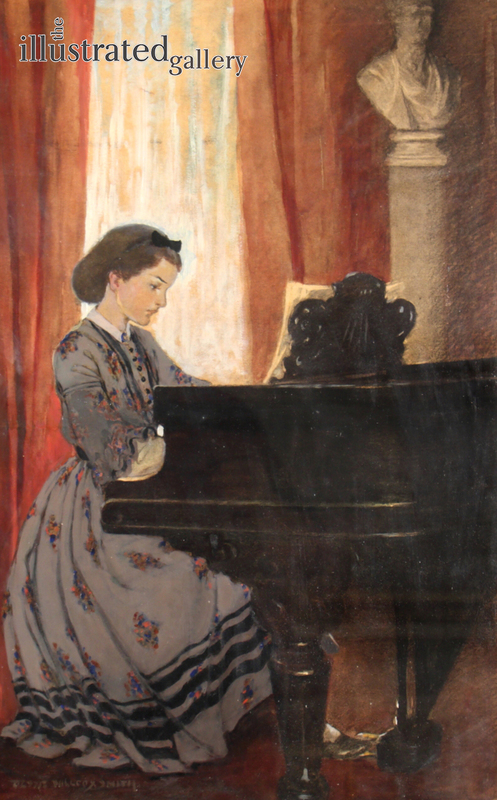 Her training was acquired at the School of Design for Women, the Pennsylvania Academy of the Fine Arts with Thomas Eakins, and at the Drexel Institute under Howard Pyle. 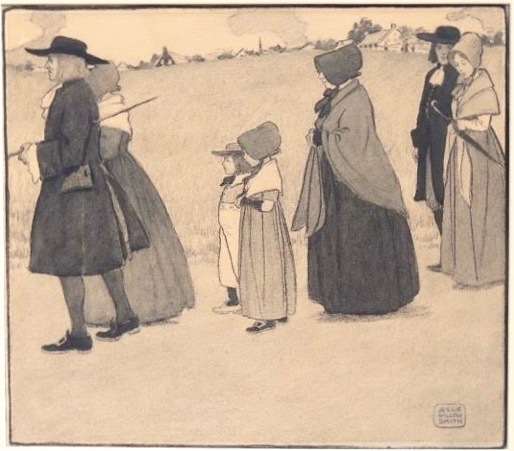 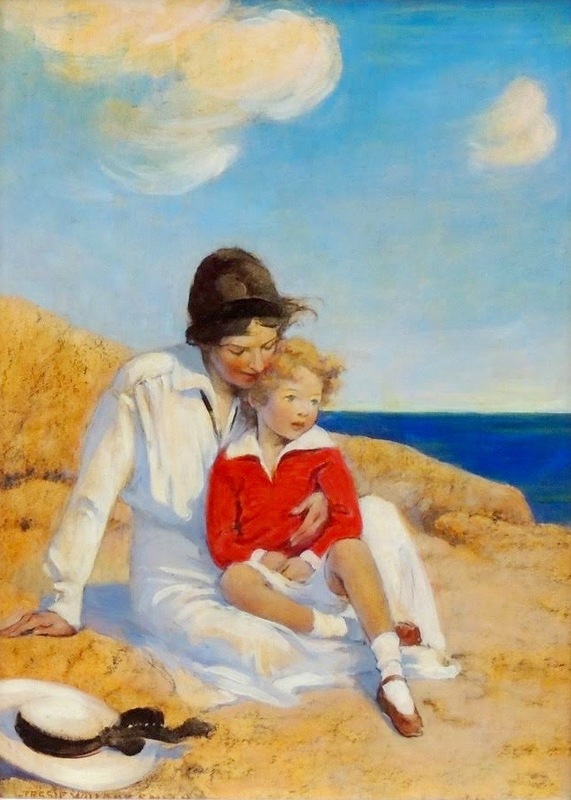 She had begun as a kindergarten teacher but turned to an art career with the stimulus and assistance of Howard Pyle. 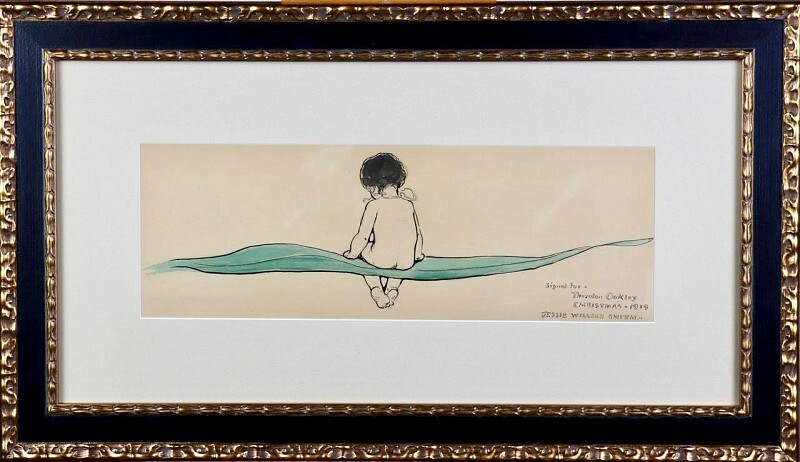 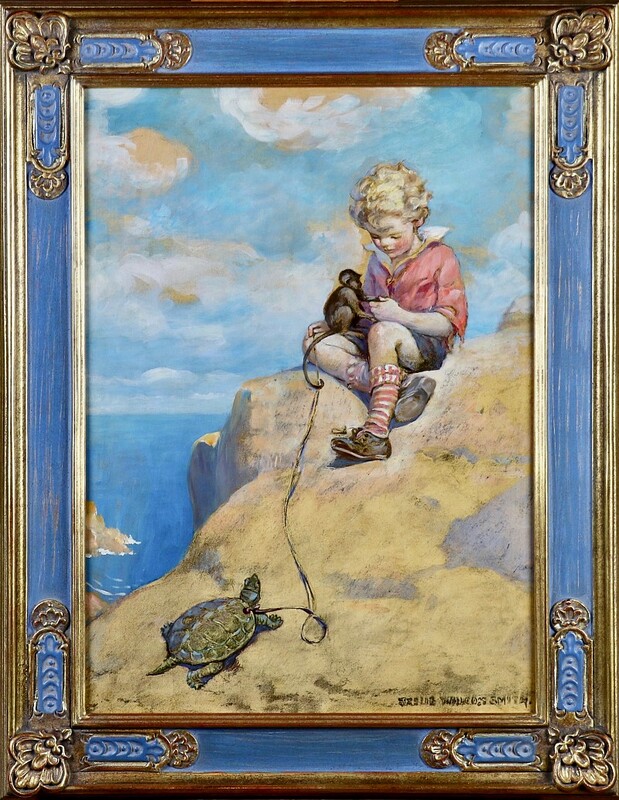 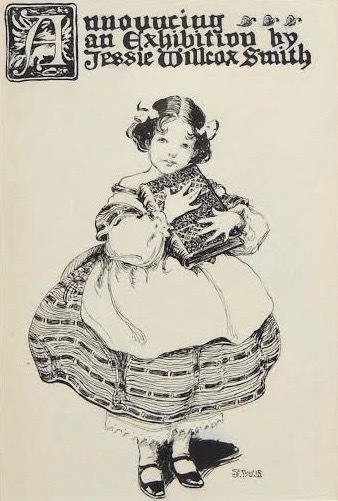 Some of her best-known illustrations were for books: Little Women, Heidi, A book of Old Stories and Robert Louis Stevenson's A Child's Garden of Verses. 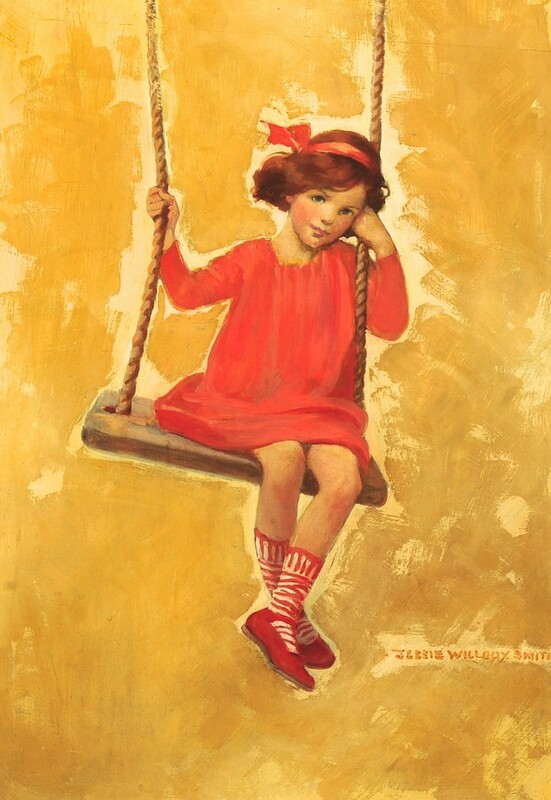 She also painted a great many illustrations for magazines such as Collier's and McClure's, and did nearly 200 covers for Good Housekeeping. 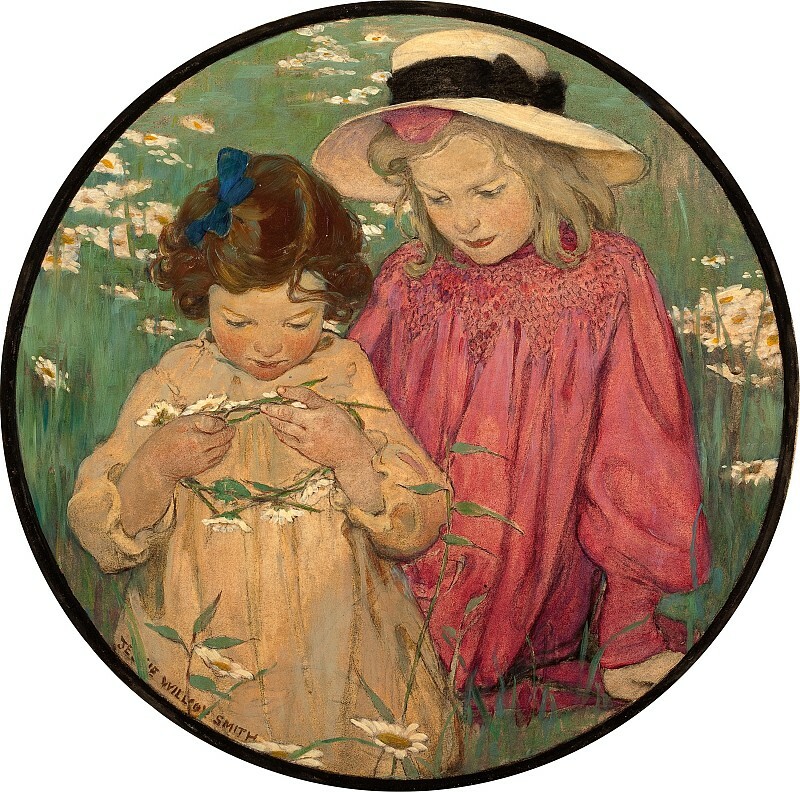 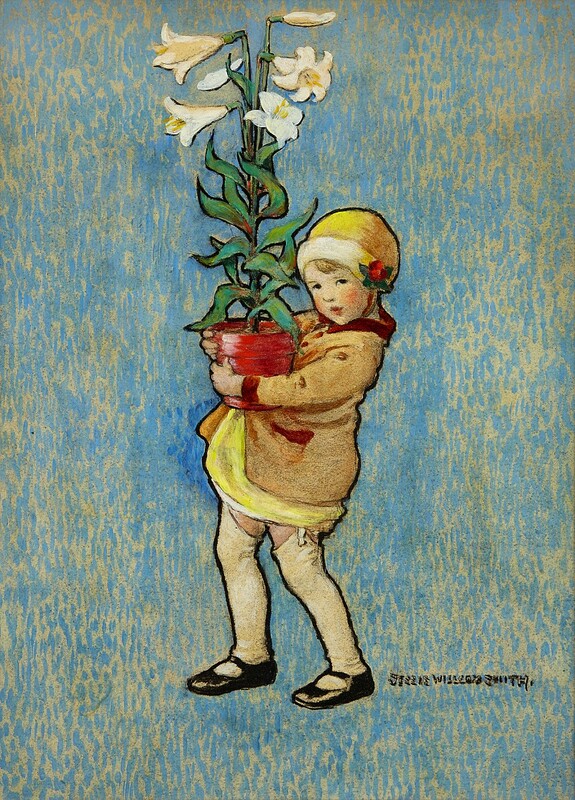 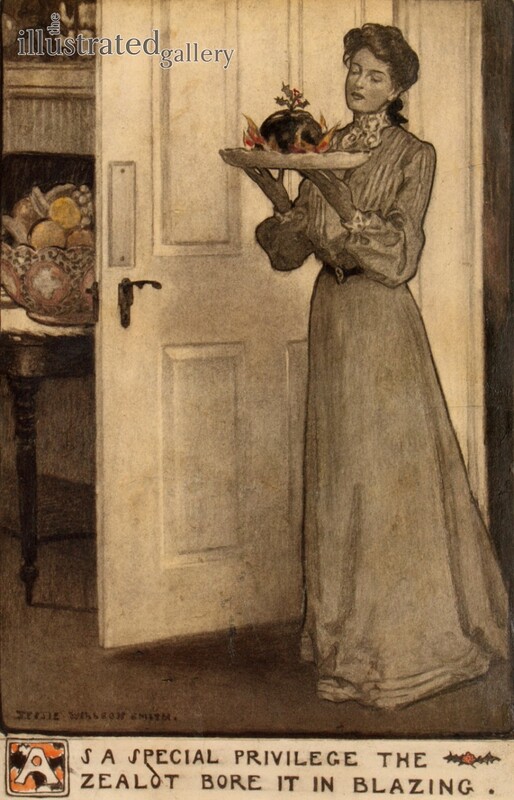 For several years, she shared house and studio with two other Pyle students, Elizabeth Shippen Green and Violet Oakley. 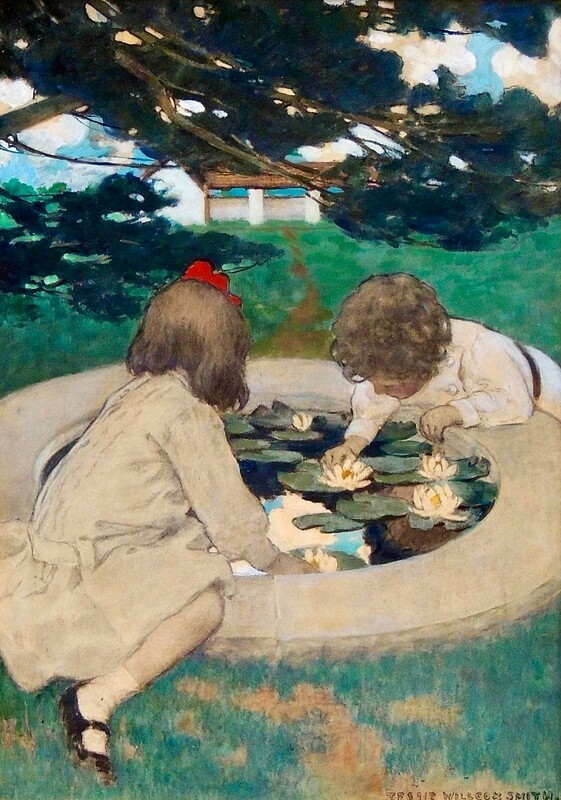 Working in close proximity they also strongly influenced eachother's work as well as that of several other Pyle - school women. 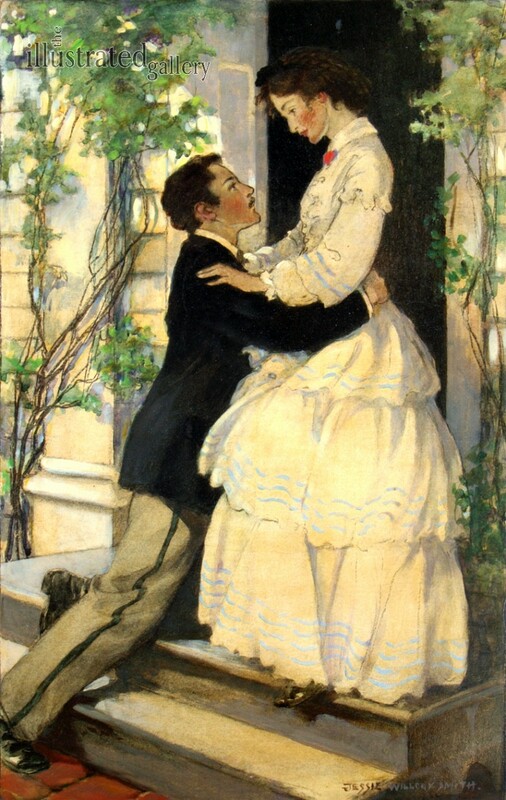 This relationship is told in The Red Rose Girls by Alice Carter. 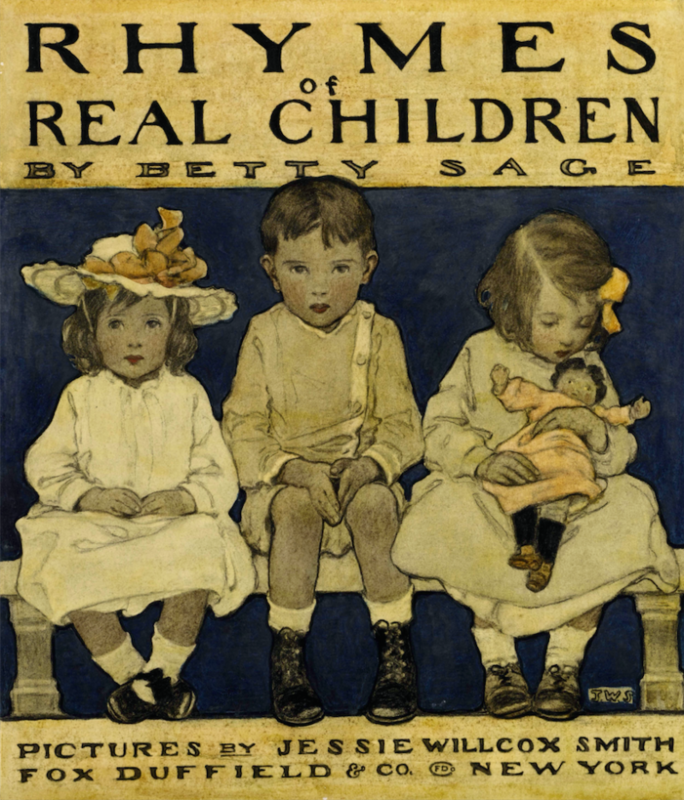 Smith painted and exhibited widely, revieving many awards, a Silver Metal at the 1915 Panama-Pacific Exposition in San Francisco. 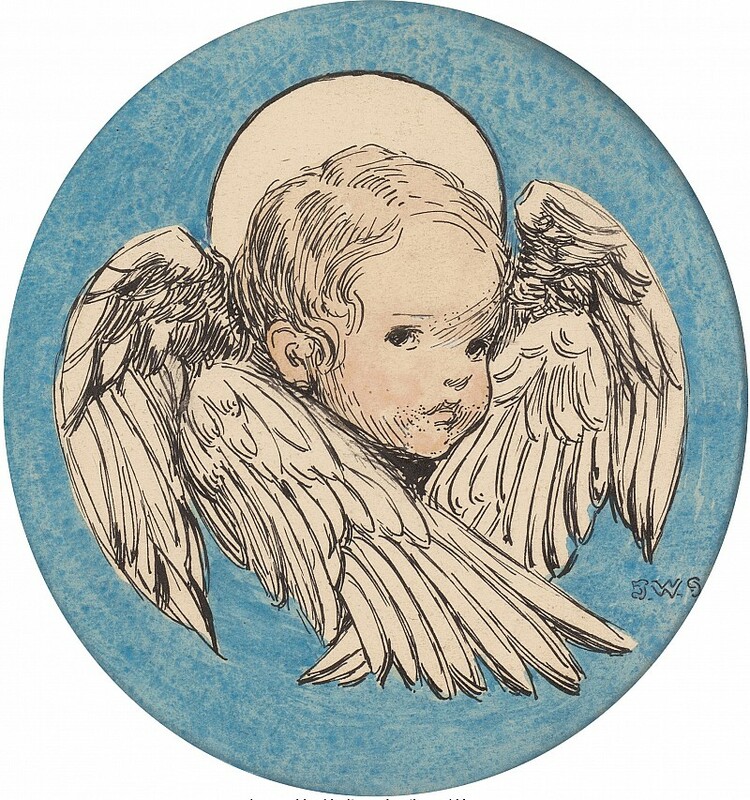 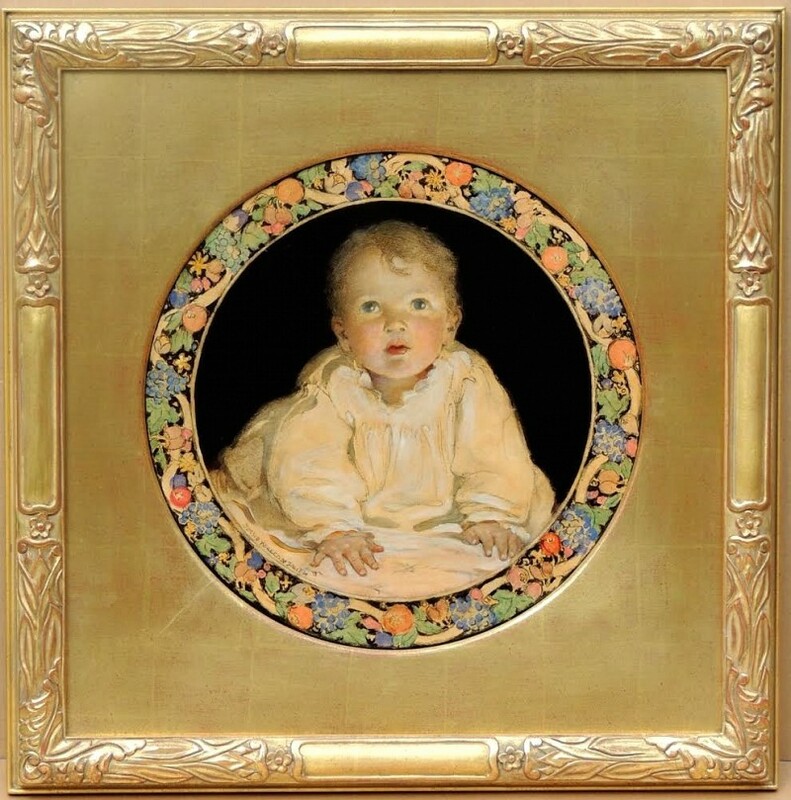 She was also commissioned to paint many portraits of children. 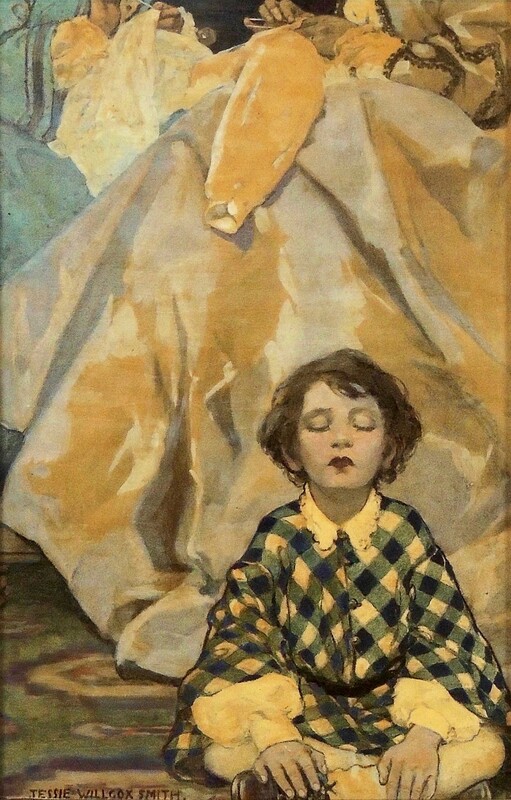 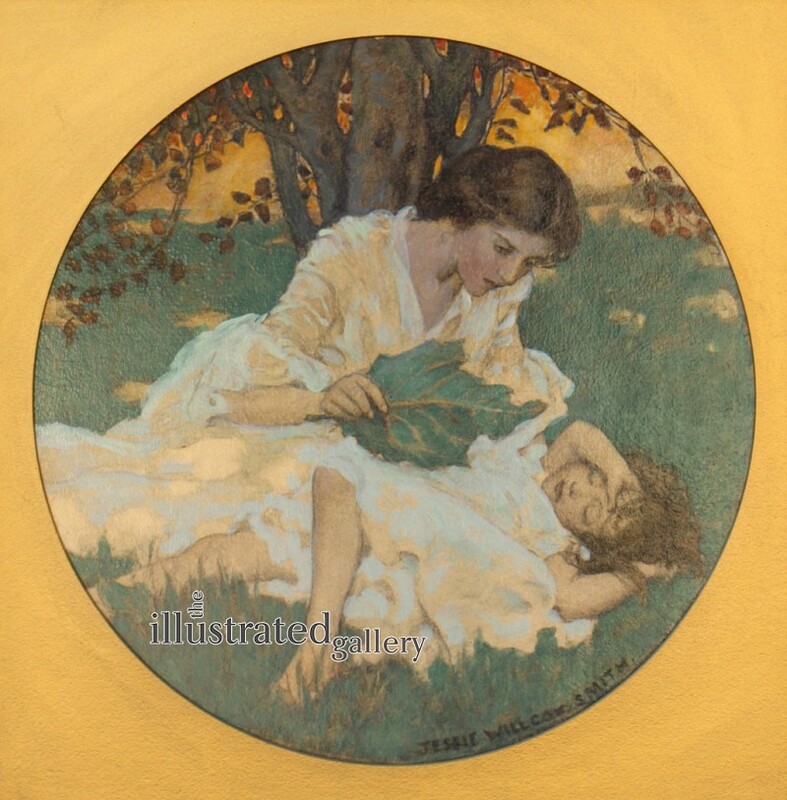 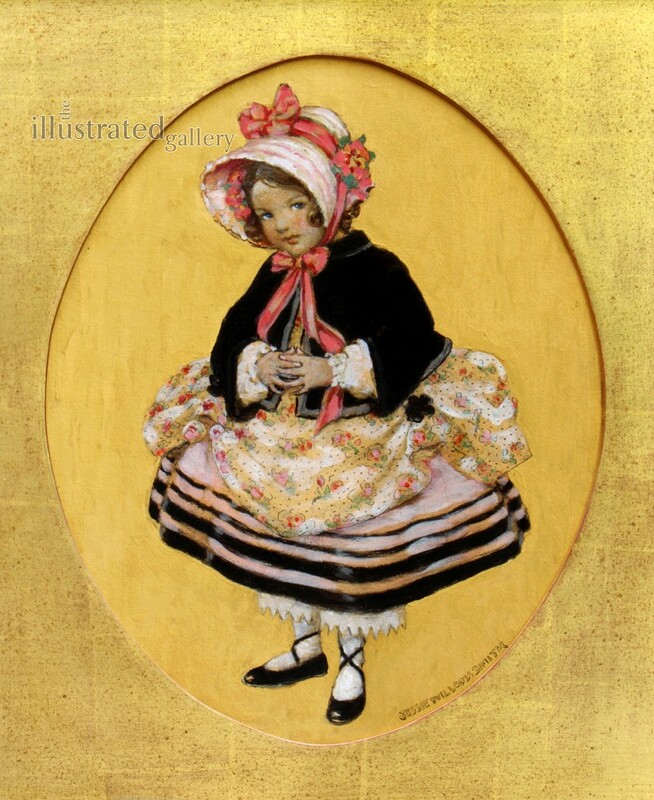 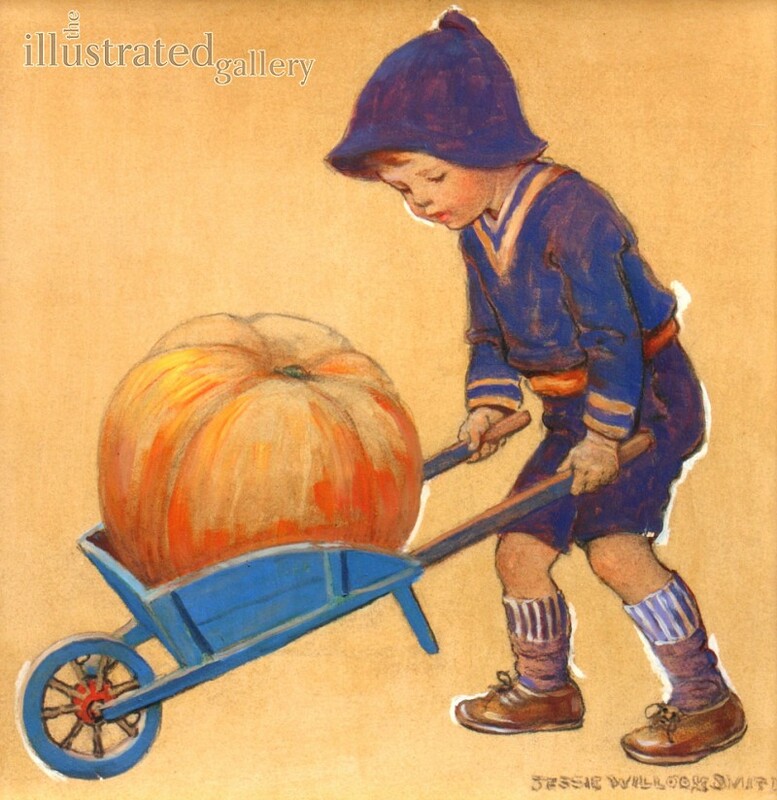 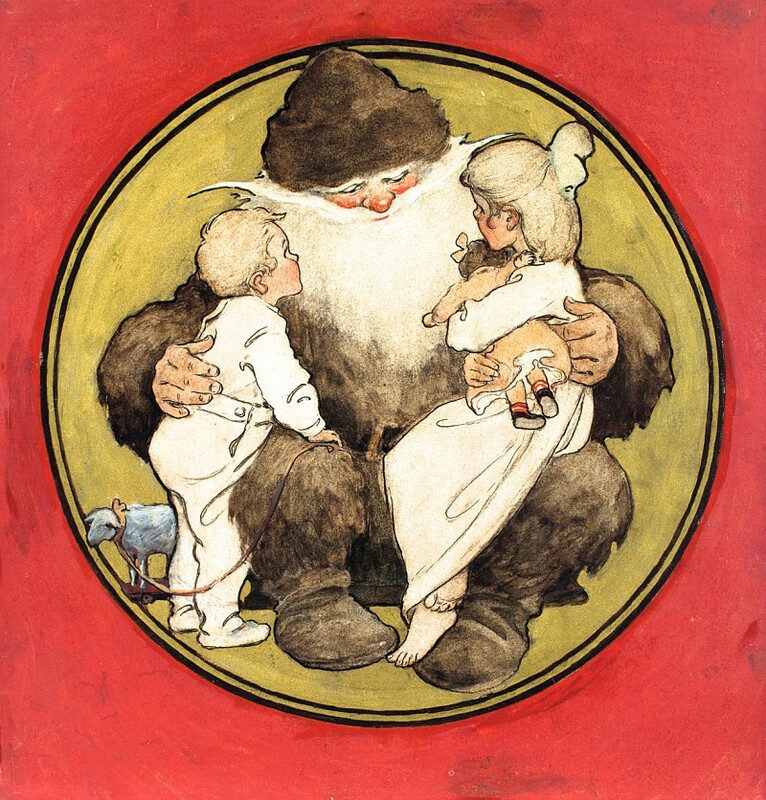 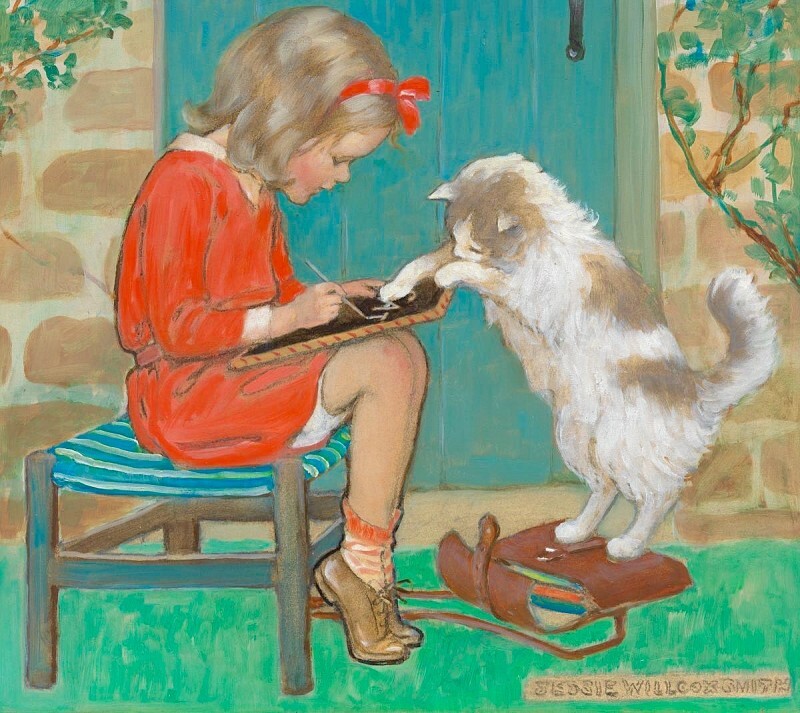 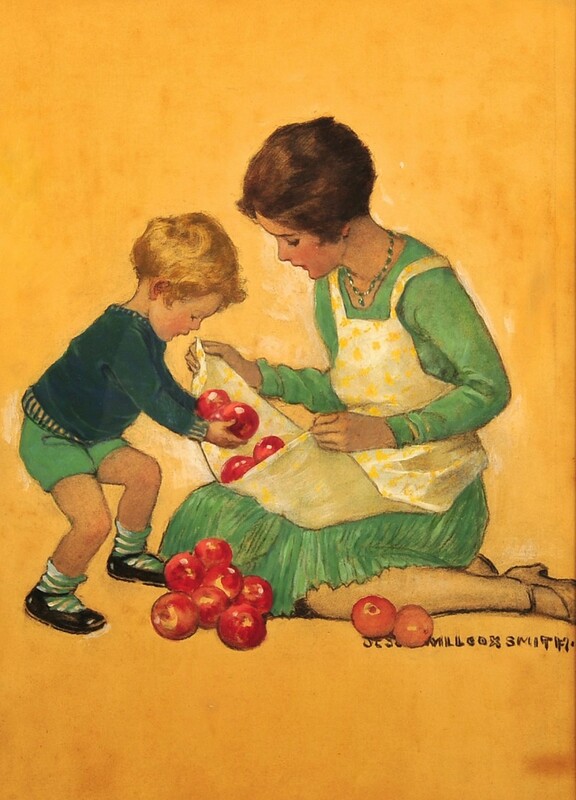 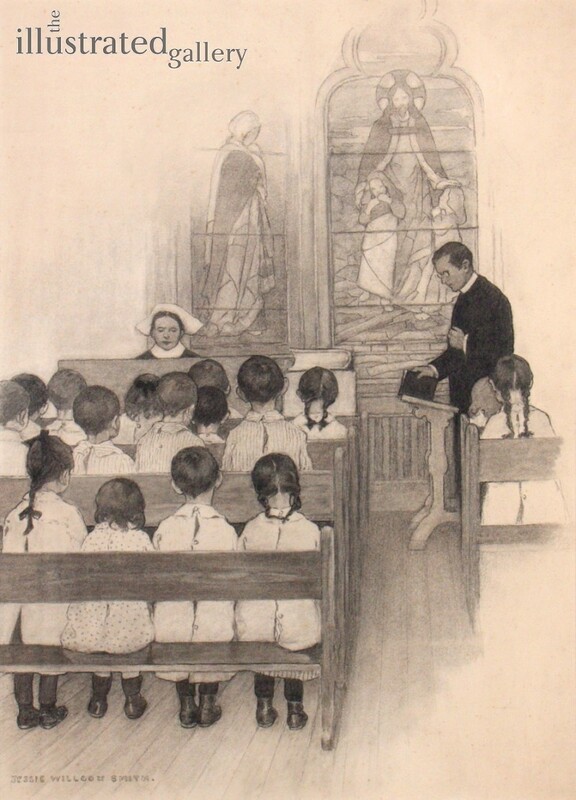 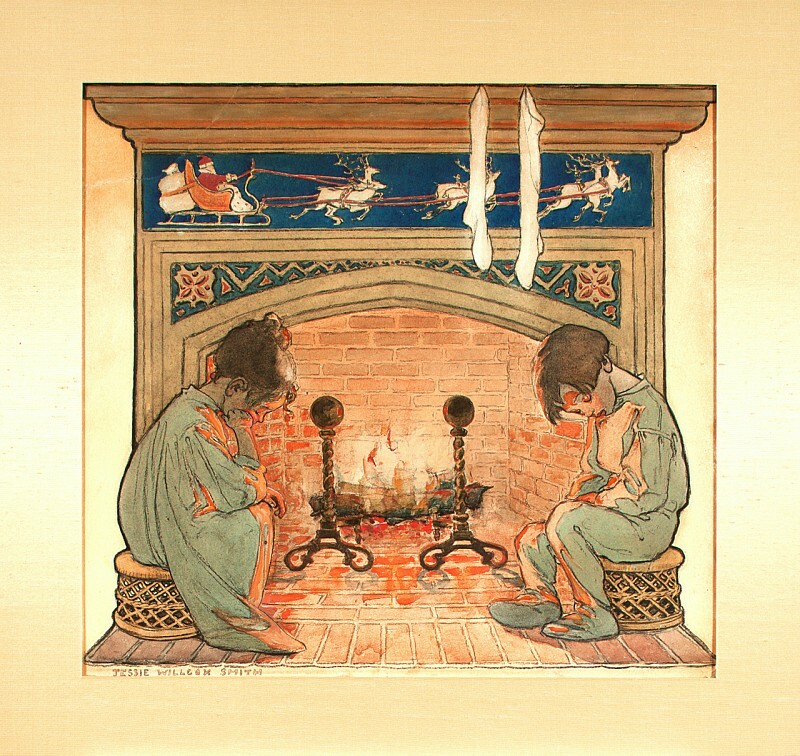 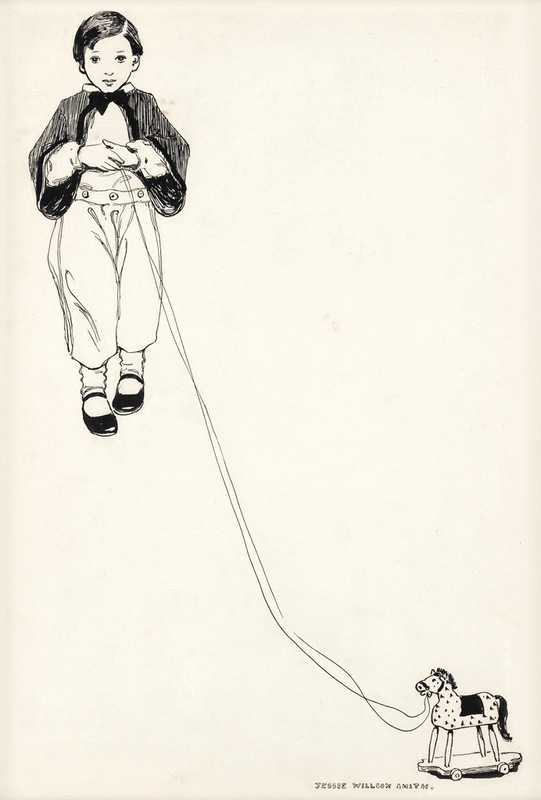 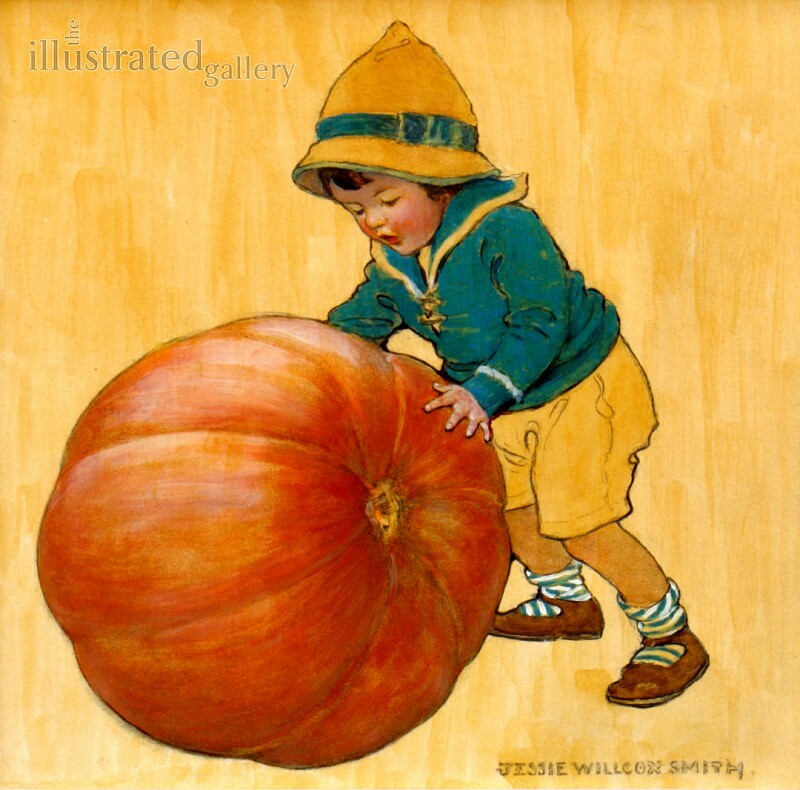 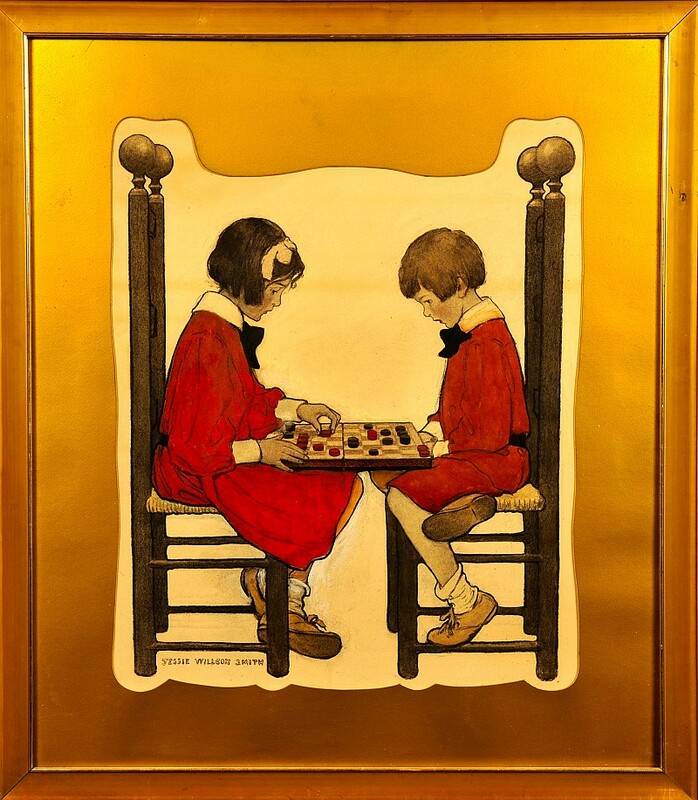 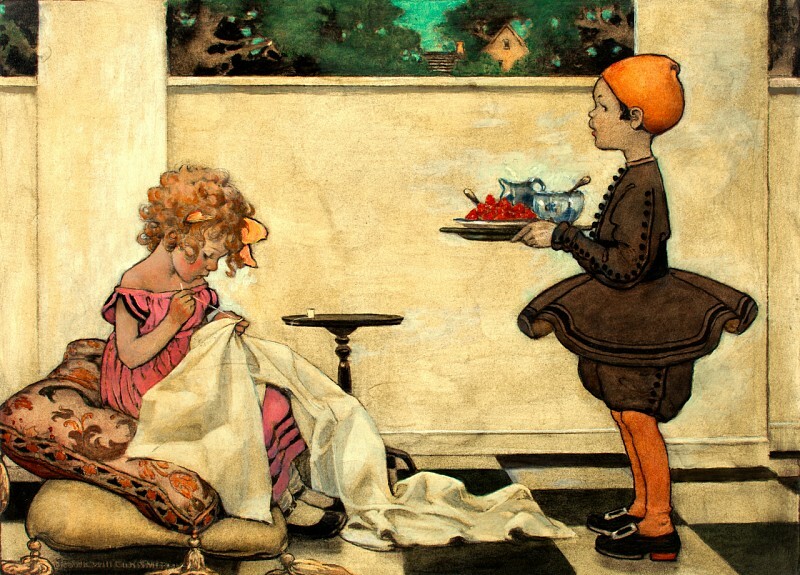 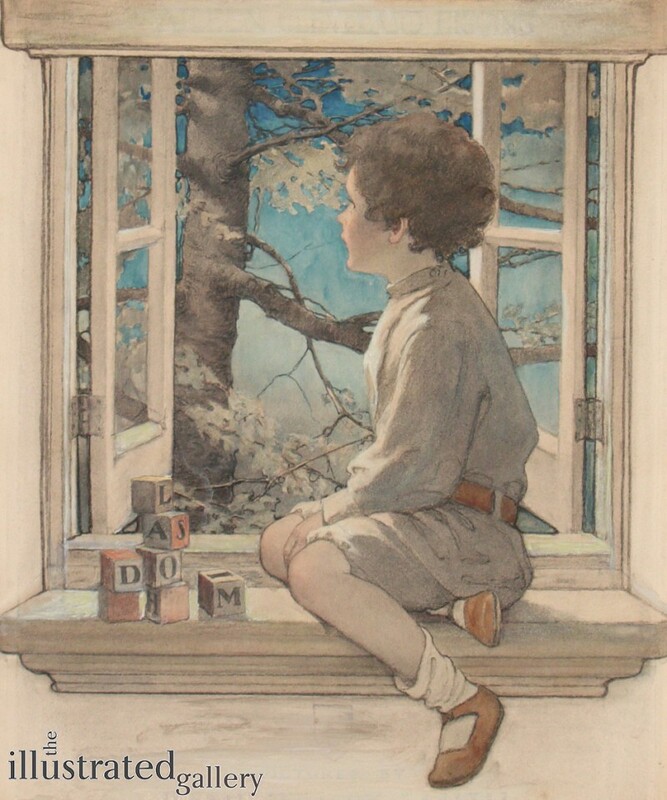 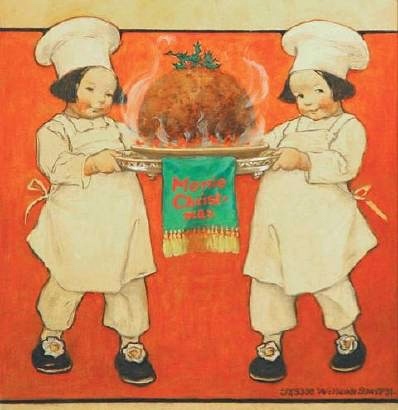 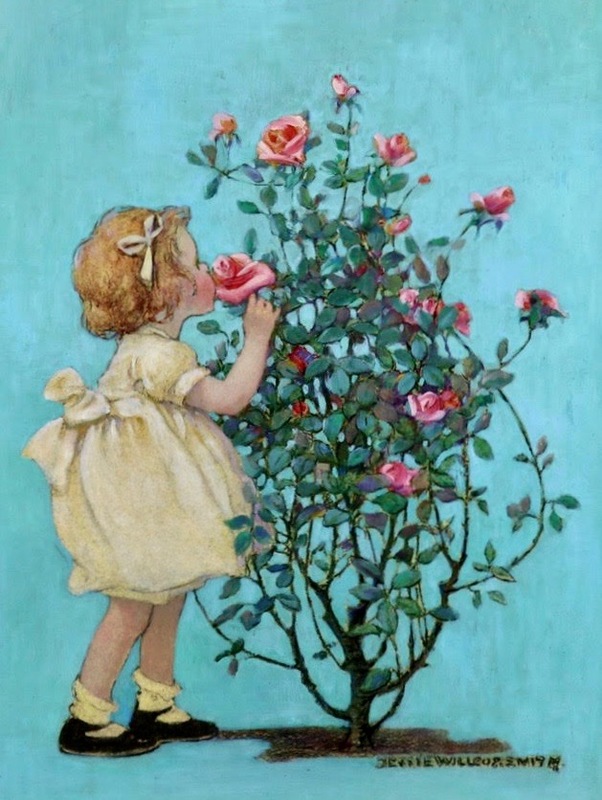 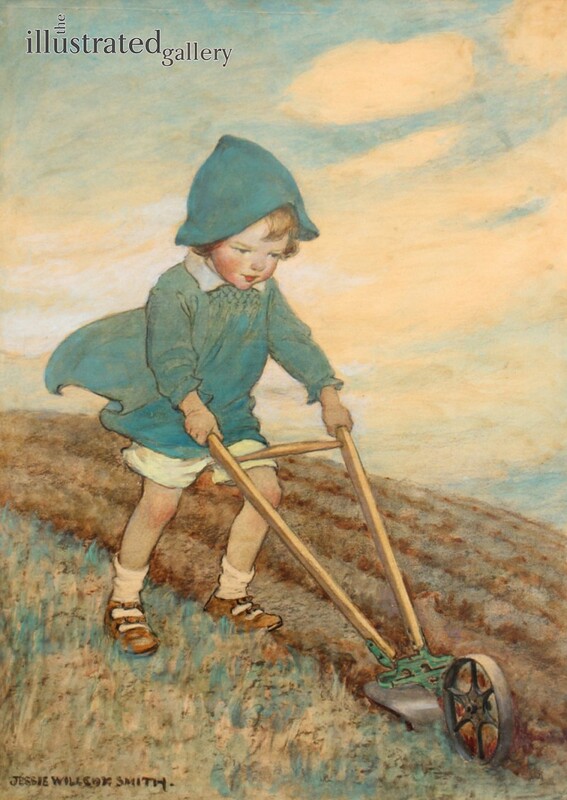 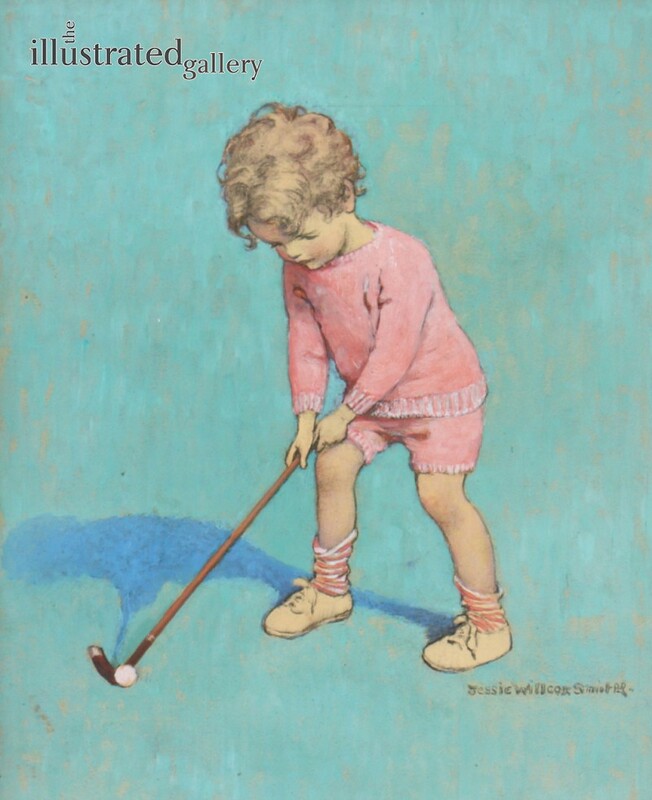 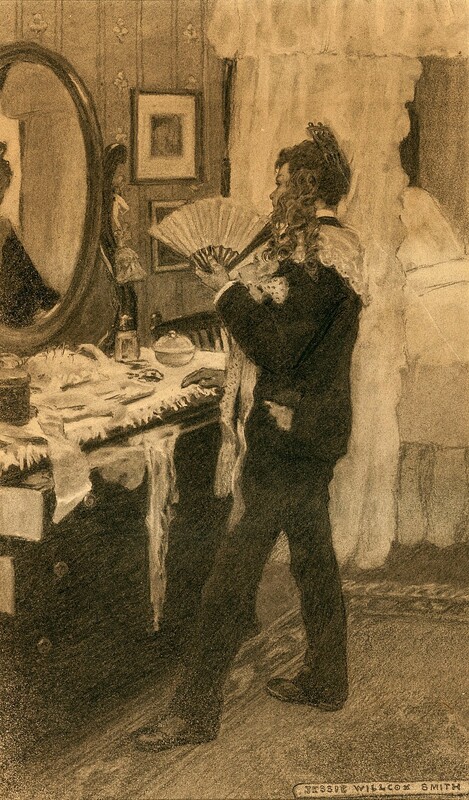 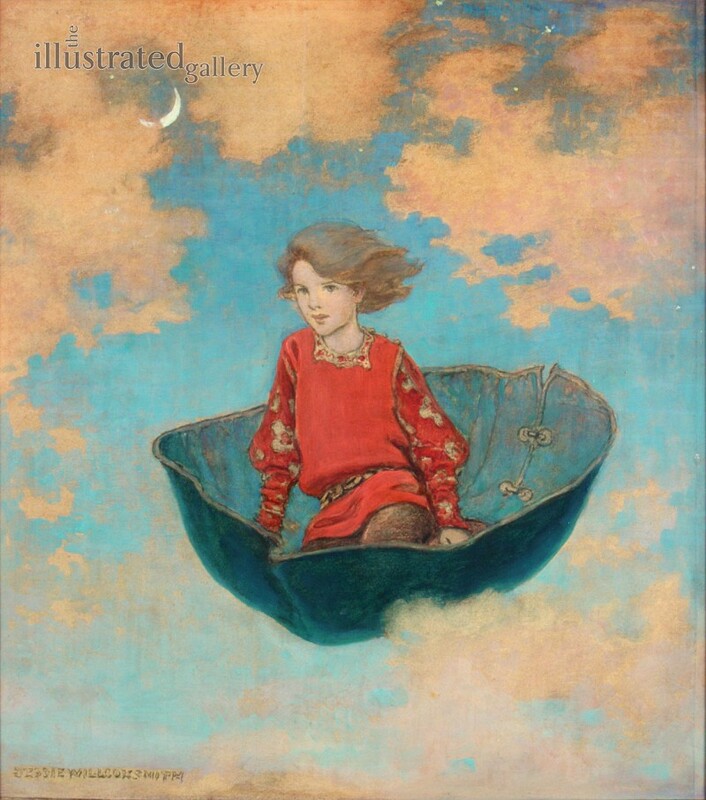 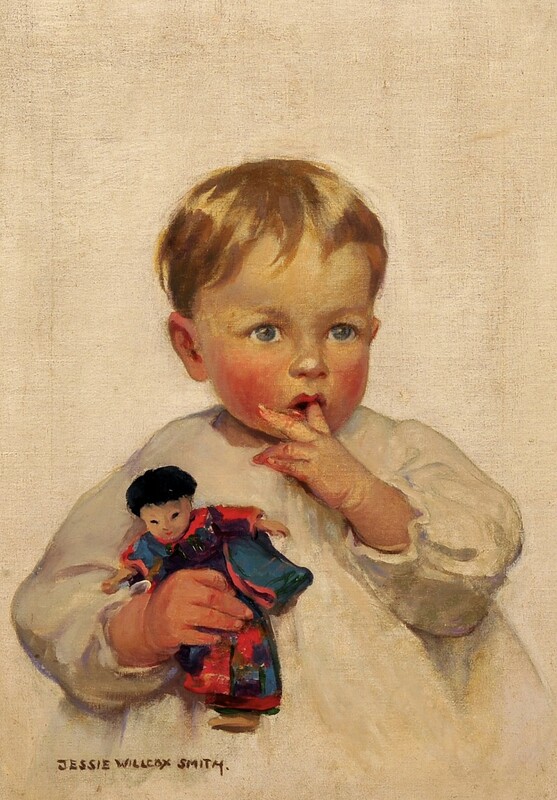 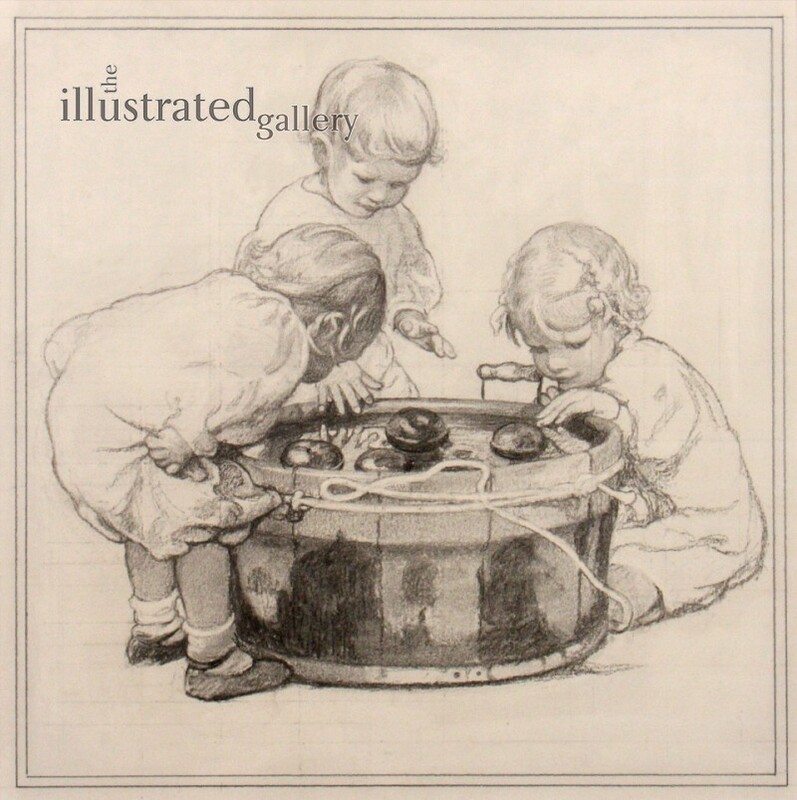 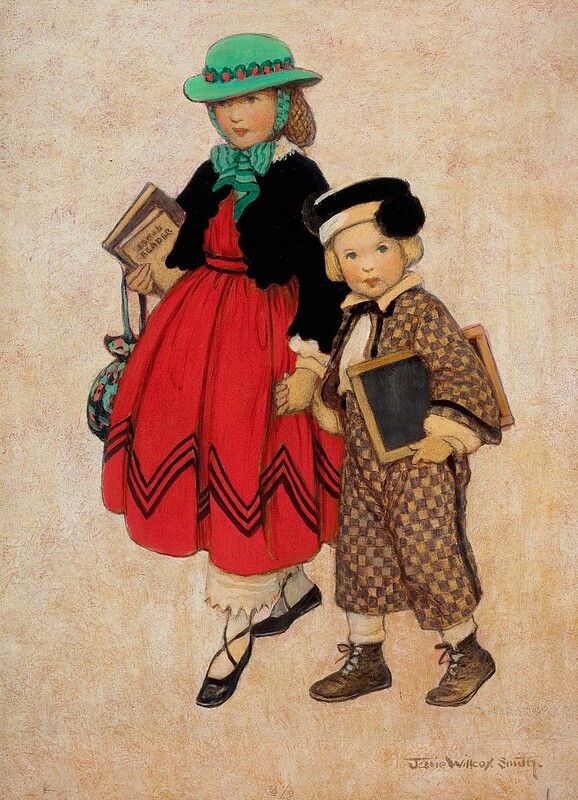 Two other biographies, Jessie Wilcox Smith by S. Michael Schnessel, and Jessie Wilcox Smith American Illustrator by Edward D. Nudelman (who also contributed A bibliography) have been published.